OK 9 has had the same route for at least the last 50 years. 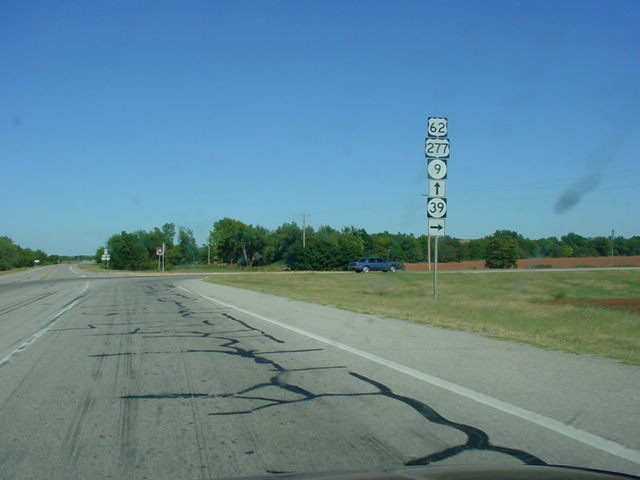 At a length of 350 miles, OK 9 is the 2nd longest state highway in Oklahoma, or the 3rd longest if you count OK 3 with 3E and OK 3 with 3W as two separate highways. It goes from the Texas state line in western Oklahoma all the way to the Arkansas state line near Ft. Smith. 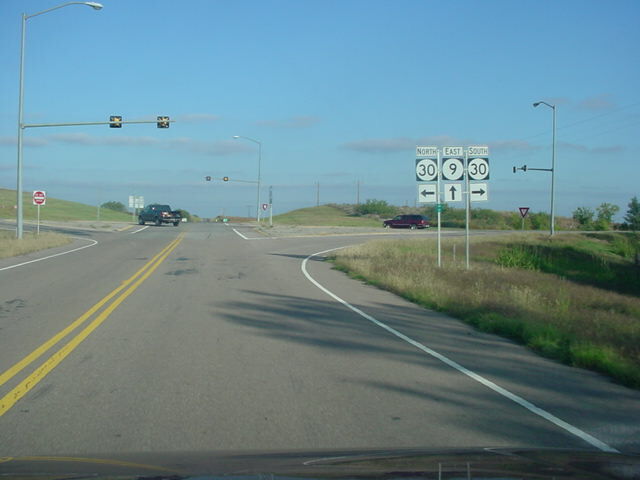 OK 9 meets its first highway intersection five miles after changing from TX 203 to OK 9 at OK 30. The intersection is located in the middle of a valley so it is more than likely a very fun spot when ice storms come to the area! 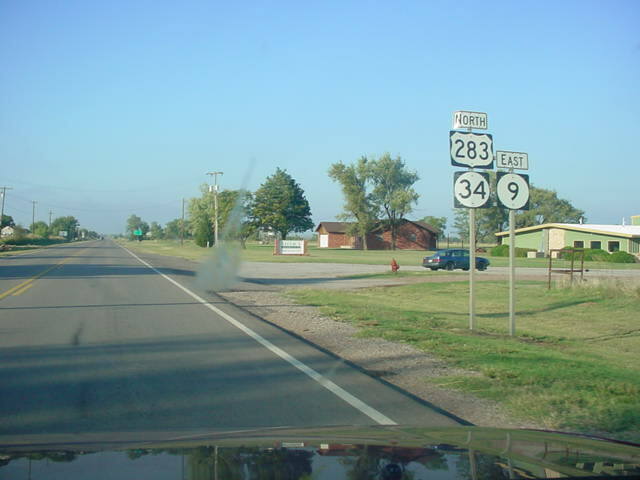 Twenty-three miles later, OK 9 intersects U.S. 283 and heads north with U.S. 283 for four miles. 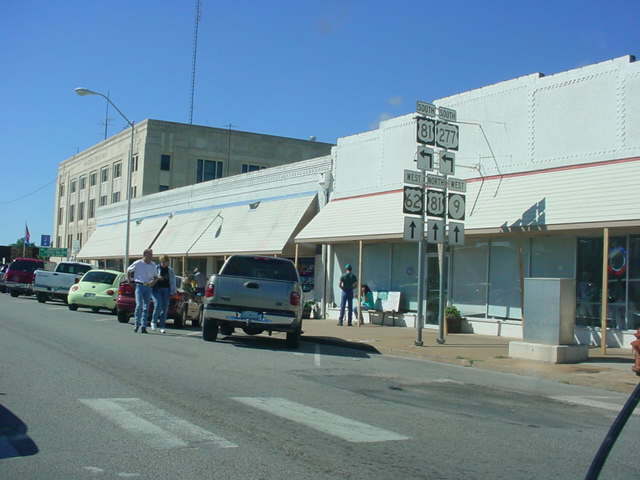 After leaving U.S. 283, OK 9 travels through Granite, Lone Wolf, and Hobart. There is a short multiplex with OK 44 near Lone Wolf. At U.S. 183 near Hobart OK 9 heads north for three miles before heading east once again. At Gotebo OK 9 intersects OK 54, at Mountain View there is an intersection with OK 115, and at Carnegie OK 58 intersetcs OK 9. 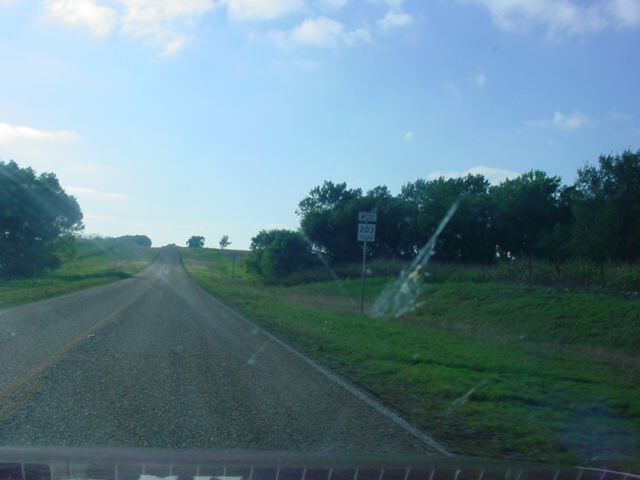 West of Anadarks, U.S. 62/281 join OK 9 and head east together for eight miles before U.S. 281 heads to the north. OK 9 will continue east with U.S. 62 all the way to northeast of Blanchard as the highways travel through Verden, Chickasha, and Blanchard. OK 9 heads east on its own for the first time in almost 50 miles at the H.E. Bailey Turnpike Spur. 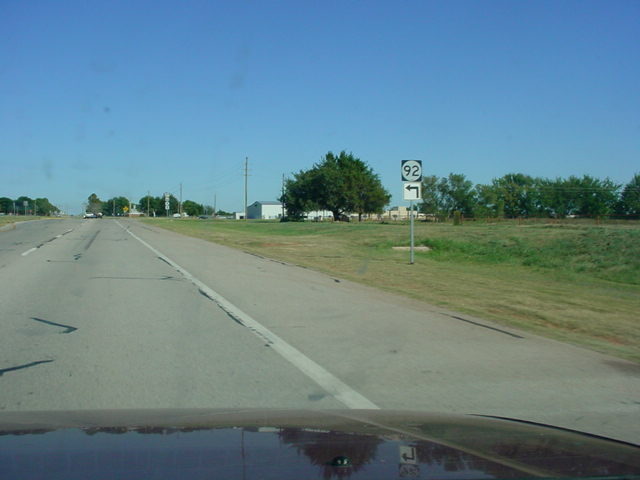 The spur ends at U.S. 62, which at this point also has U.S. 277 signed with it along with OK 9. OK 9 makes its way toward Interstate 35 in one of its busiest stretches of highway, which is slated for widening from 2 lanes to 4 lanes in the near future. 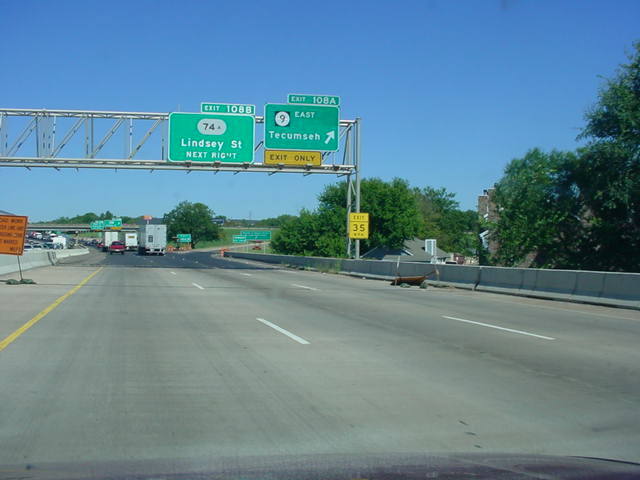 At Interstate 35 OK 9 heads north and crosses the Canadian River with the interstate before heading east again. 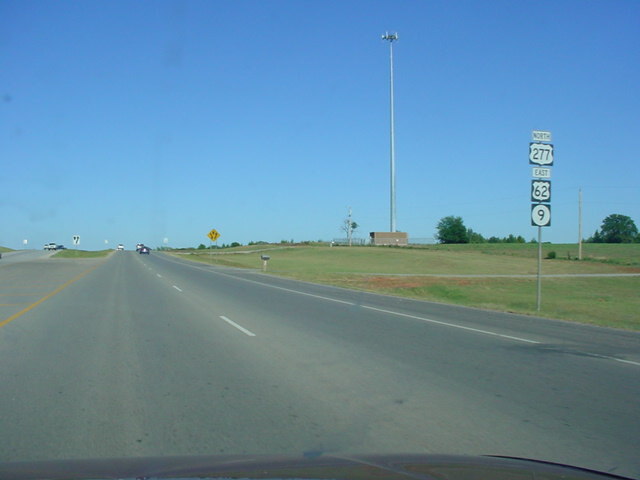 Throughout south Norman, OK 9 is a 4-lane divided highway with a 50 mph speed limit between I-35 and the U.S. 77 exit. 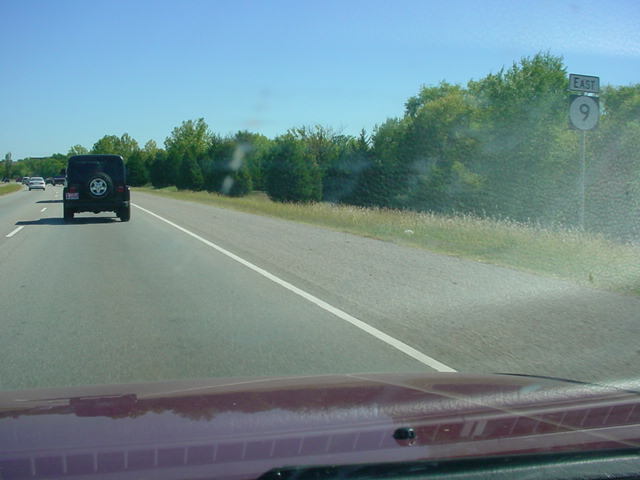 East of U.S. 77 OK 9 becomes a two-lane highway. This area is infamous for several fatal accidents in recent years because of speeders, so be aware of this area. 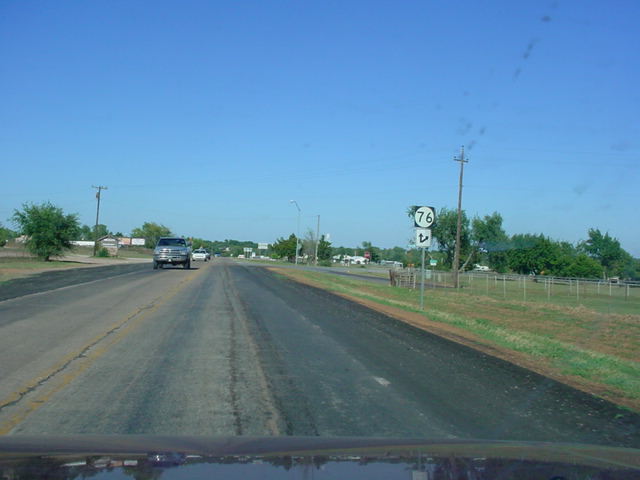 The highway skirts the southern side of Lake Thunderbird and 29 miles east of its exit at U.S. 77 OK 9 enters Tecumseh and intersects U.S. 177. 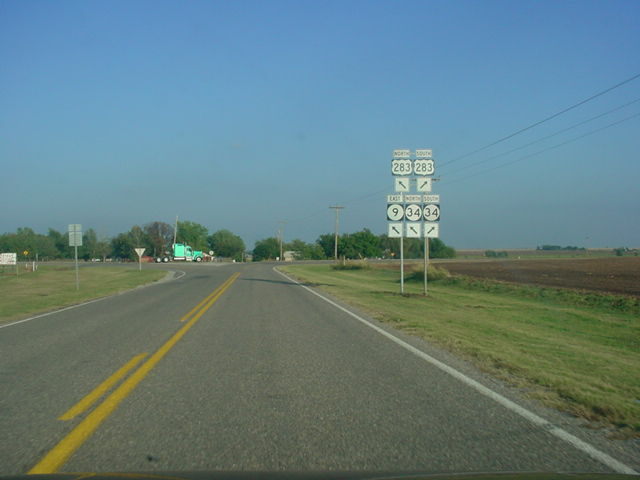 U.S. 270 heads east with OK 9 in Tecumseh as well. Fourteen miles later, OK 9 intersects U.S. 377 and U.S. 270 heads southeast on its own. 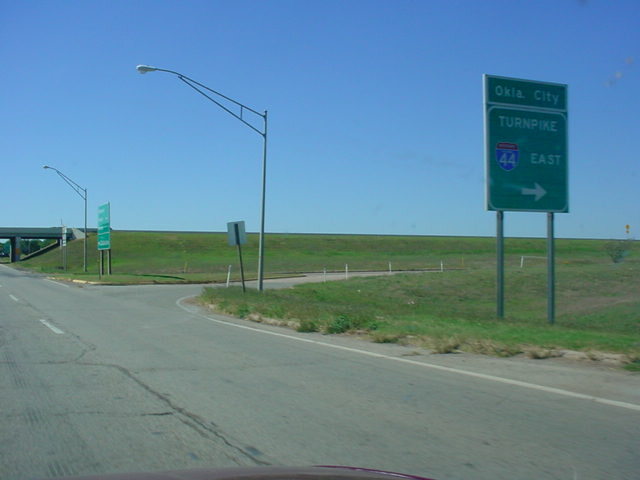 Highway 9 meets U.S. 75 in Wetumka and goes through Dustin before intersecting the Indian Nation Turnpike at Exit 92. 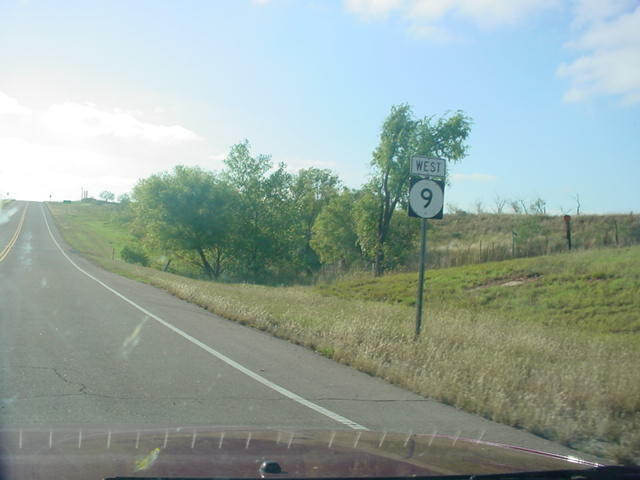 Twenty-one miles later OK 9 meets U.S. 69, then heads south for a little bit near Lake Eufaula. The highway crosses the lake a couple miles later and continues heading east. 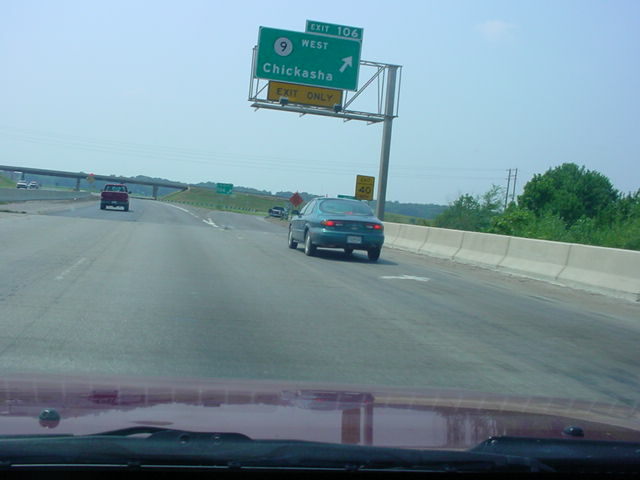 The section between OK 2 and U.S. 59 served as a detour for eastbound Interstate 40 travelers while the Arkansas River bridge was being reconstructed after a barge hit a bridge support, collapsing the bridge and killing 14 people on May 26, 2002. 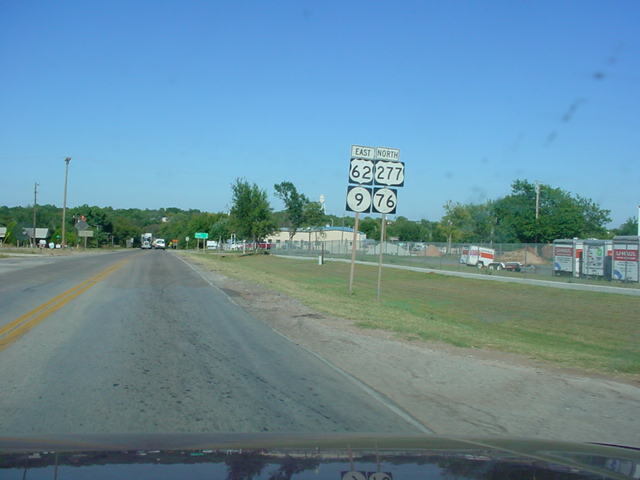 OK 9 joins U.S. 59 for six miles and then heads east with U.S. 271. 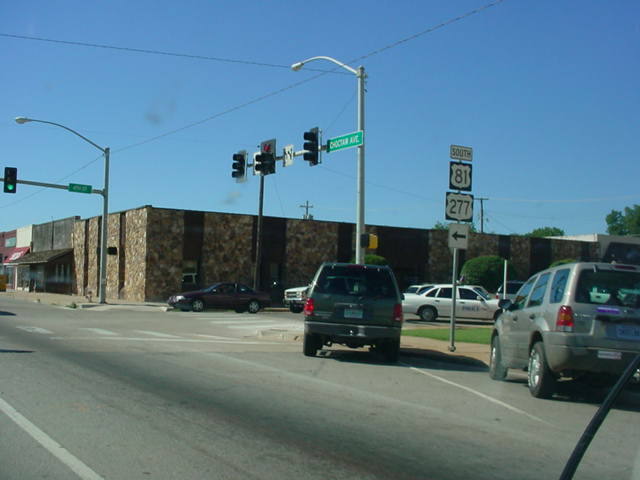 Fifteen miles later, U.S. 271 and OK 9 enter Fort Smith and the highway becomes Interstate 540, and the end of OK 9 is finally upon travelers. 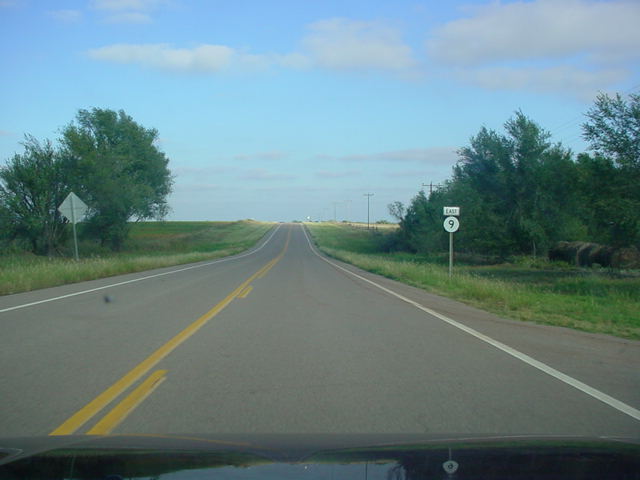 9, but the speed limit increases to 70 mph. western end of the mile-long duplex. OK 9 East at U.S. 62 West/U.S. 281 South. prepare to turn to the north in Anadarko. at U.S. 81/U.S. 277 South in Chickasha. at Interstate 44 East near Chickasha. assurance shields just north of Blanchard. straight ahead puts motorists on the H.E. interchange is currently being reconstructed. OK 9 East approaching U.S. 77 - 1 mile. OK 9 East at U.S. 77 - Norman/Purcell exit. 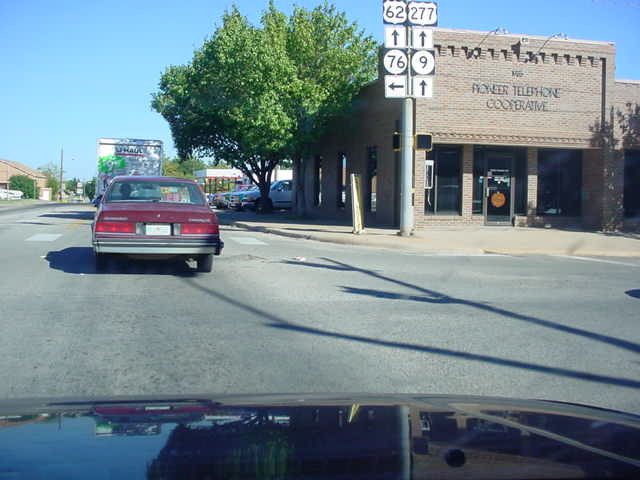 U.S. 77. Tecumseh is still 30 miles away. 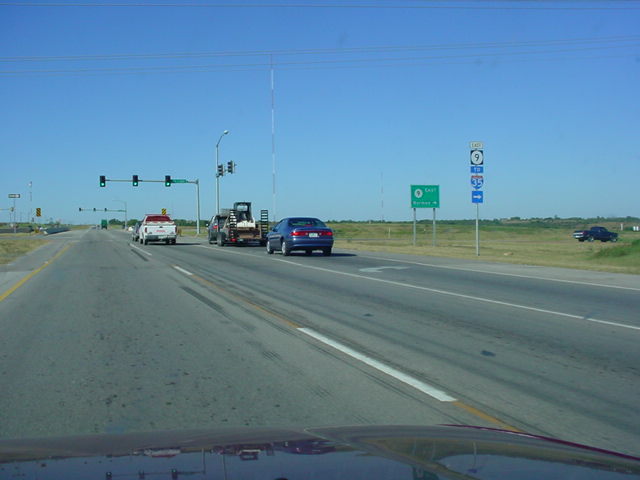 OK 9 East at TO U.S. 177 North/TO U.S.
direct connection between OK 9 and U.S.
OK 9 East at U.S. 177 South/OK 3W East. U.S. 270/OK 9 East at OK 9A South. OK 9 West at Indian Nation Turnpike South. OK 9 West at Indian Nation Turnpike North. OK 9 West at OK 9A South near Eufaula. OK 112 in Arkoma at its other end. is the first OK 9 assurance shield.